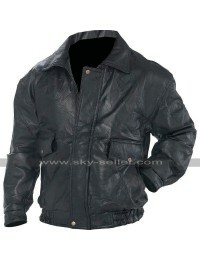 This is one of the finest jackets one can ever see in life and it has been manufactured using the best quality genuine leather which is the most upright and unmarked choice to go for. 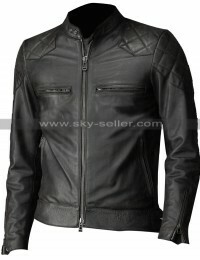 This jacket has been finished using the best quality material of genuine leather and appears to be the most remarkable choice of all times. 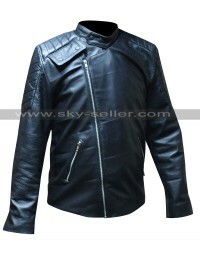 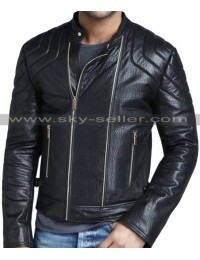 This jacket has been provided with an inner made out of viscose material and the black base gives an appealing outlook to it with the glossy appearance it follows. 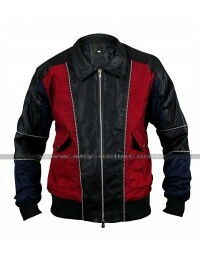 Moreover, there are red-colored lines on the sleeves of this jacket in double layout and these also attract the attention of the buyer on an immediate basis. 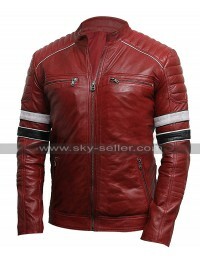 This jacket has a front closure of zip and plain back whereas the jacket has a hood at the back and shoulders with the embossed lines. 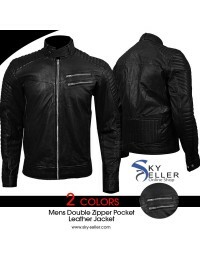 There are four zipped pockets too and two of them are on the chest side and two on the sides. 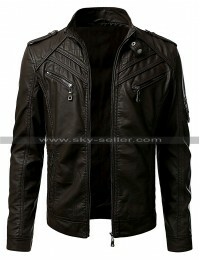 This jacket may prove to be the best choice to be carried on the casual occasions.